Cancer cells are rapidly-dividing cells. Chemotherapy is focused on damaging rapidly-dividing cells. The cells that produce hair also divide rapidly. When these are damaged, the growth of the hair is disrupted. Your hair can fall out as a result – on the head, but often also the eyelashes, eyebrows, and hair on the arms, legs, armpits and pubic area. Your hair can gradually become thinner, it can partially fall out, but it can also fall out completely within several days. This depends on, among other things, the kind and the dose of the chemotherapy, and it can differ from person to person. Chemotherapy via an infusion usually causes more hair loss than chemotherapy in a tablet or capsule. 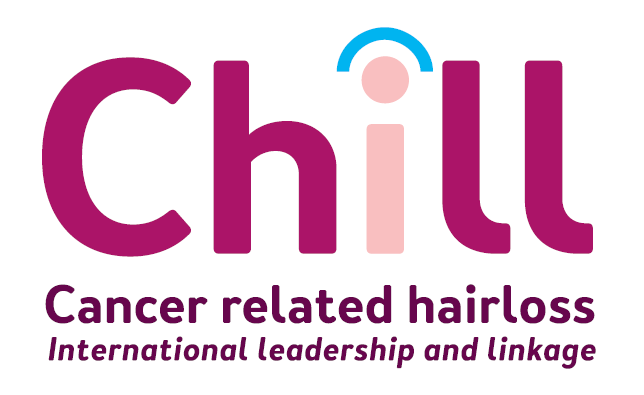 Hair loss usually begins 10 to 17 days after the first treatment with chemotherapy. You find hair on your pillow, on your clothing or in the shower drain. Hair loss can be evenly spread across the whole head, but localized bald patches can also occur. Hair loss due to chemotherapy is usually temporary. Your hair begins to grow normally again within several weeks or months after the end of the chemotherapy. The new hair can be temporarily different than it was before; the colour or texture can, for example, change. Sometimes, the hair does not grow back. The reason for this is unknown. On average, patients wear a wig or a head covering for up to one year after the first chemotherapy. The period of baldness differs from person to person and depends on the duration of the chemotherapy and the speed at which the hair grows. Because of the chemotherapy, the scalp can become dry and flaky. Take good care of your scalp.